In the mood for a fascinating crepe filling? Try our melt-in-the-mouth purple sweet potato crepe cake! Rich in fiber, vitamins, minerals, and loaded with antioxidants, sweet potato is the definition of yummy and healthy. Scrumptious coconut flakes are sprinkled on top of a smooth sweet potato ganache, which results in a stack of fluffy crepes with sweet potato filling. Fab Service. The whole experience was fantastic. The staff were knowledgeable, friendly and helpful. Highly recommended. Great customer service! Cake delivered on time and was delicious. What more can one ask? I’d highly recommend it! Excellent service. Wanted to surprise my husband by sending the cake to his office. Due to cny holiday, only did the order at 9am . However i requested the cake to be delivered by 12pm as he be leaving office after lunch . They manage to send within 2 hours. Husband had a big surprise. Had a nice celebration with his staff. The cake decoration was beautiful. Haven't taste it. Hope he will bring a piece back😀. Thank you for the prompt response and immediate action. Hard to come across such a dedicated team n service. Special thanks to En. Hakim. Looking forward to make other orders in future. ordered the caramel crepe cake, it was really delicious! it was not too sweet, which made it a hit among our friends. delivery man was friendly as well and good online service from the team too when recommending which cakes to get. The cake was superb!! Friendly delivery guy. Cake were in good condition when delivered. I will definitely order from you again. Highly recommended. Good service as I requested for a change of delivery to a different office floor in short notice. They arranged it for me immediately and the cake delivered promptly. 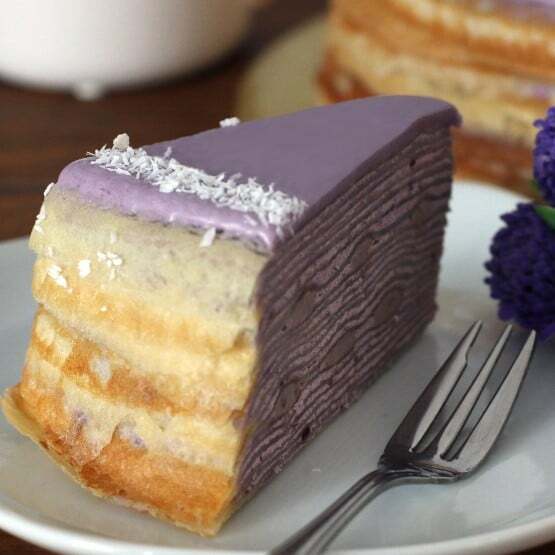 Overall, the cake taste good and look nice, as shown in the photo. Cakes were in good condition when delivered and I will definitely order from you again. Thank You ! Excellent service. Fast response from customer services.Rebate for being 1st timer as well. Delivered on time & definitely will come back again. The cake was delicious & awesome. Excellent service. Rapid sales support given prior to do ordering. Rebate for being 1st timer as well. 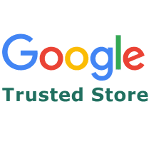 Superb experience buying online cake. Delivered on time even farther apart. Thanks Junandos! No doubt definitely will come back again. And yeah, the cake was simply awesome! Hi this is my 3rd time ordering from Junandus. Your cakes look nice and taste good. Absolutely friendly delivery guy and prompt delivery. Cakes were in good condition when delivered. I will definitely order from you again. Thanks! The princess designer cake was awesome in terms of design and taste. 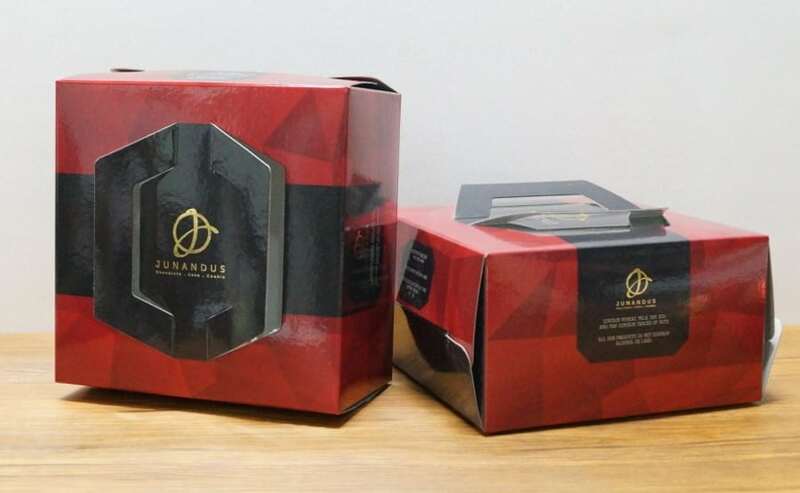 The packaging was very pretty and presentable as well. If there is something to be considered, it will be to reduce the height of the cake box to be able to fit into the standard refrigerator. Amazing customer service. It was my first time purchasing a cake for a dear friend in Malaysia from Australia. I had placed an order for the green tea cake and it was meant as a surprise. Apart from having a same day delievery which was handy, they checked the recipient’s name and address and notified me when I accidentally did not include these information. They also patiently advised me accordingly about the delievery process and addressed my concerns. The taste of the cake was as good as the service provided. I highly recommend anyone looking to purchase a cake in Malaysia to go with this company! You won’t be disappointed! Thank you again! 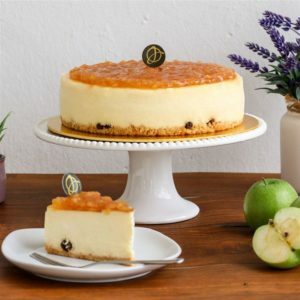 I’ve tried several of their cakes and I just love it especially hazelnut praline. It’s delicious and not too sweet. I opted for self collect and first time I went there, I couldn’t find the store because there’s no signage outside the store. But that doesn’t stop me from purchasing with them again. Overall, Junandus is recommended! Great service. I requested for the delivery on a wrong date but called up to change it. They arranged it for me immediately in a really professional and efficient way. The cake was good, as shown in the photo. But the quality of the cakes still have room for improvement. Overall it is worth the price. Ordered their best seller triple choc crepe cake, it was awesome, not overly sweet and super delicious too. No wonder the cake is their best seller. The service they provided was wonderful as well. Very recommended. 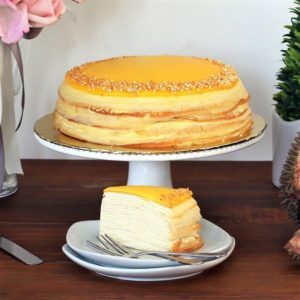 Going to order again soon, maybe their signature cake Madagascar vanilla crepe cake. 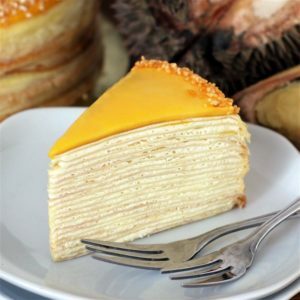 Kek Junandus yang sedap! Tak terlalu manis, just nice! Sudah dua kali menikmatinya. 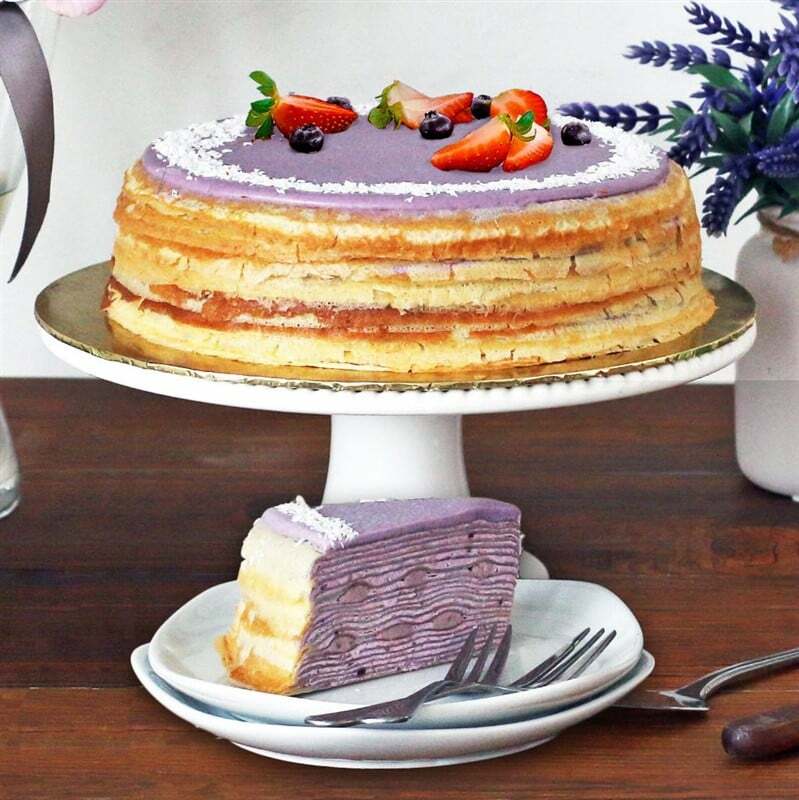 Kali pertama, isteri saya buat kejutan dengan kek sponge green tea yang sedap. 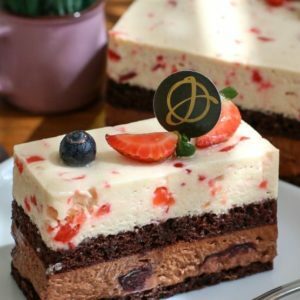 Sebulan kemudian, lepas gaji masuk terus tempah red velvet juga! Habis sehari juga hehe. Pasti akan order lagi! Order a cake for a our half half sister for delivery. It is the color of life cake. 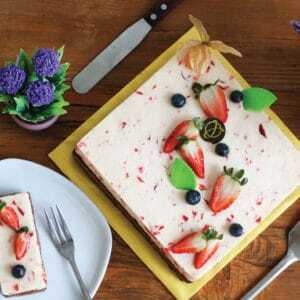 With beautiful color and in between the cake got some cheese layer.It has beautiful love shape marshmallow . It was a very delicious cake too. Not too sweet and the topping of cream was light and smooth. Thumbs up for this cake. Definitely will order again. Covenient with a click online. I ordered the Opera cake for my son's birthday. The cake was awesome! We simply loved it. Hats off to the awesome baker who did the cake. It was so delicious. Service from your team was good. Cake was delivered on time. Thank you Junandus. Cake was delicious..we all enjoyed the cake. I had ordered layered chocolate crepe cake and it was an instant hit..great job people and would recommend to other people and would order more from them. Their service are the best. Cake was delicious..we all enjoyed the cake. I had ordered layered chocolate crepe cake and it was an instant hit..great job people.. My mom is diabetic but she was impressed with optimal sweetness of the cake. 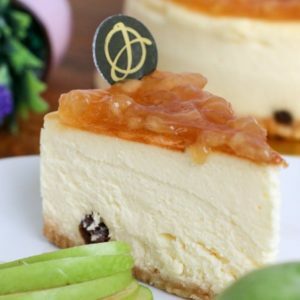 I strongly recommend Junandus's cake to everyone of you. I have been ordered a few times from them for my colleagues & BFF birthday. They love it alot! :) And also their CS team are very nice and professional to assist me when i am confused which cakes to buy HAHA! Worth for the money. It makes my daughter very happy to share the cake with her teachers and friends. All of them were very enjoy the cake very well. Thank you Junandes. Ordered rainbow cake for a colleague's farewell just recently. One of the most delicious cake i have ever had. 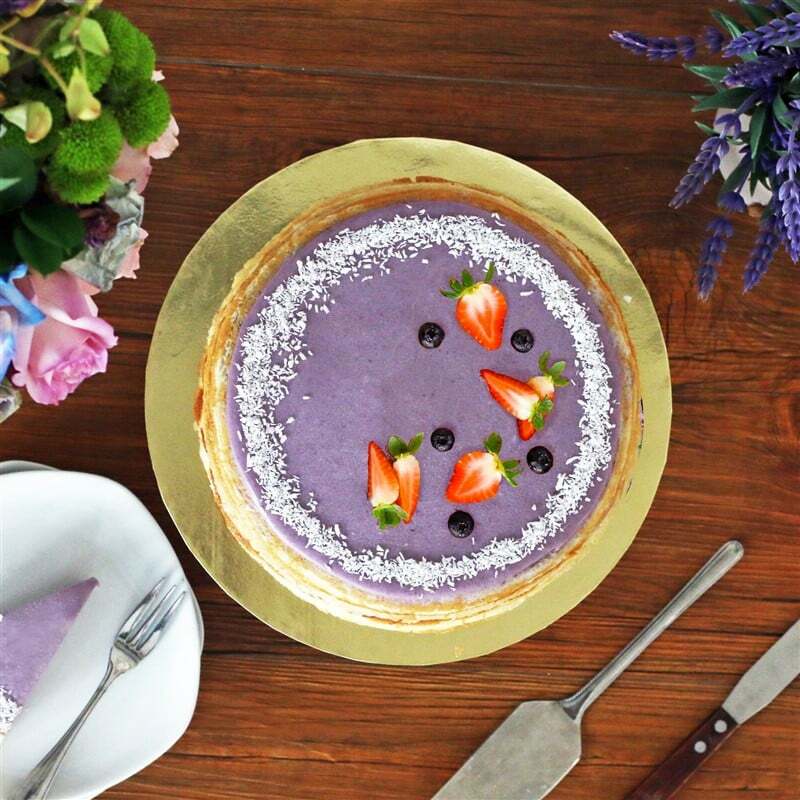 Junandus never fails to produce superlicious cakes! Well done junandus! Their cakes and cookies all are very delicious and taste heavenly. I ordered few times already, and they never let me down. The service is great! Totally satisfied! Junandus © 2019. All Rights Reserved. Join us FREE as a MEMBER today! 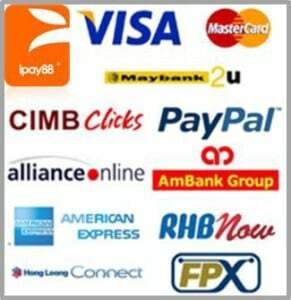 - Get a RM 6 Voucher that you can use immediately. - Get news update on our latest promotion.